Buy White Bread, Black Beer at shop-o-tek! We have just opened the shop-o-tek. You can order the CD of White Bread, Black Beer and the Boom Boom Bap CD-single straight away. And by doing so you’re helping both Scritti and the bibbly-o-tek team. We’re trying to build the best Scritti source we can imagine. This takes times and money. 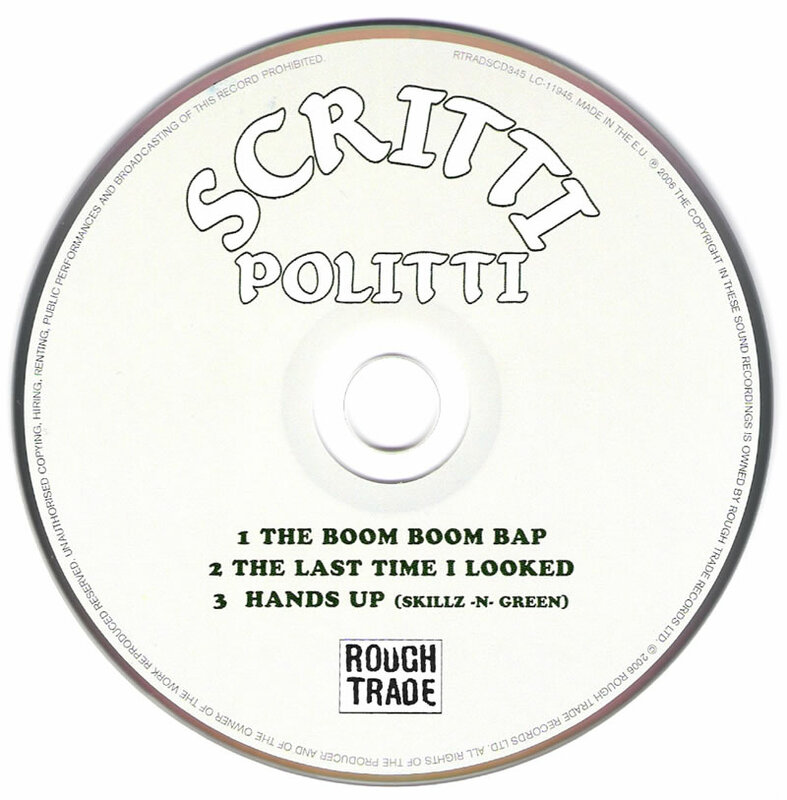 So if you’re considering buying the new Scritti Politti album online please consider using the shop-o-tek. Please go ahead: shop-o-tek is here! Any suggestions about this are very welcome of course! Update: We’ve just added a new affiliate partner, eil.com, who sells White Bread, Black Beer on VINYL! 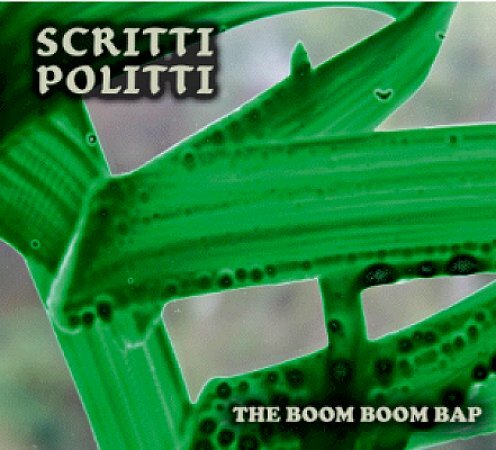 The Boom Boom Bap is the first single from the new Scritti Politti album White Bread Black Beer. The CD Single contains the album version and 2 new tracks, no remixes. Ever since BBC 6 played it for the first time in december of last year, this melodious ballad has been going round in my head. It was the first we heard from Green Gartside since Anomie & Bonhomie in 1999, and what a treat it is. The Boom Boom Bap is a honeysweet song, showing all the beauty that Green is able to bring about with his voice and his sound, following the line of Brushed with oil, dusted with powder. A beauty, a minimal jewel. The b-side features 2 new songs. The last time I looked, is a fine song in the line of White Bread Black Beer. Remarkable are the recurring “nashville” guitar chords and the interesting lyrics. “The next time I look I will be a long way from here, by the tree of cocaine, near the river of beer”. Please show me where that place is. In the middle of this song there is a mysterious woman counting down from seven to zero, in French. Excellent. The second new song on the single is Hands up, an uptempo rap track, fierce & intense, featuring a rapper called Skillz (from Virginia ?) I am not sure if this is the man, I googled him up. Anyway, he wants us to put our mothafuckin’ hands up and keep em there. To me his voice sounds a bit like Emenim (hope I don’t insult Skillz with that). No Green vocals on this track, i guess it’s produced, mixed and music played by Green. I played this track a couple of times, it grows on you. Nice one. Interesting cover and the single also contains two new songs: ‘Hands Up’ & ‘The Last Time I Looked’. Can be pre-ordered, but only in sucky WMA format. Maybe DRM protected too. However… 2 new songs! So that makes 16 new Scritti songs which soon will be released!